You will love this milk and cookie soap set! Soap weighs approximately 8 oz!! Great as a unique gift or a fun treat! It is scented in a chocolate and vanilla type fragrance. 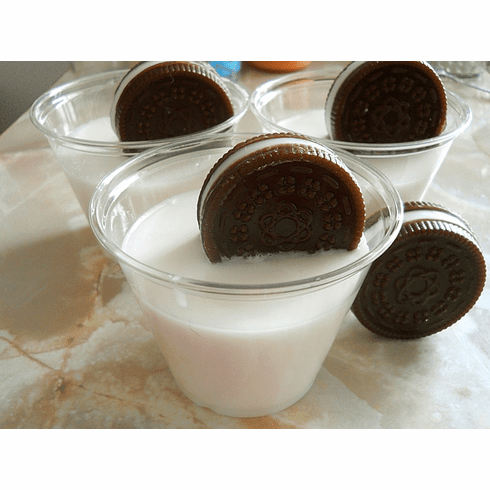 Comes inside a plastic cup; just press the bottom to pop out the solid milk and cookie soap. Great as party favors, convo me for pricing discount when you order more than 10. I make this with a detergent and sls-free soap base. Comes packaged in a clear cello bag, ribbon and bow.